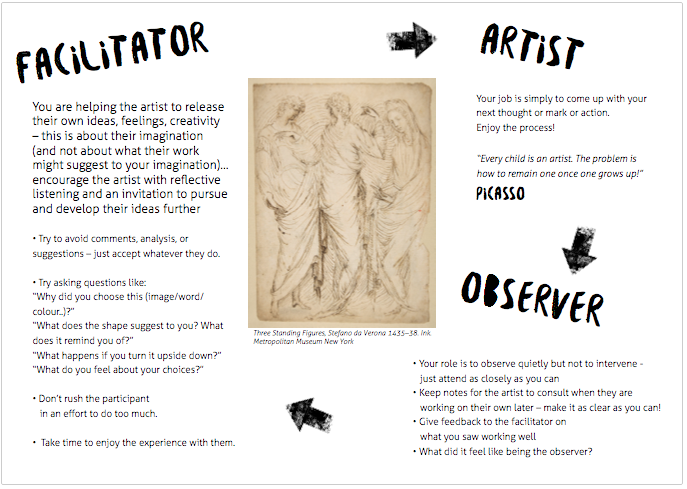 These handouts are designed to accompany the Explore Creativity workshops. They help to explain BCA to new participants, partners or stakeholders when taking part in a trial or taster session, or beginning a new programme. 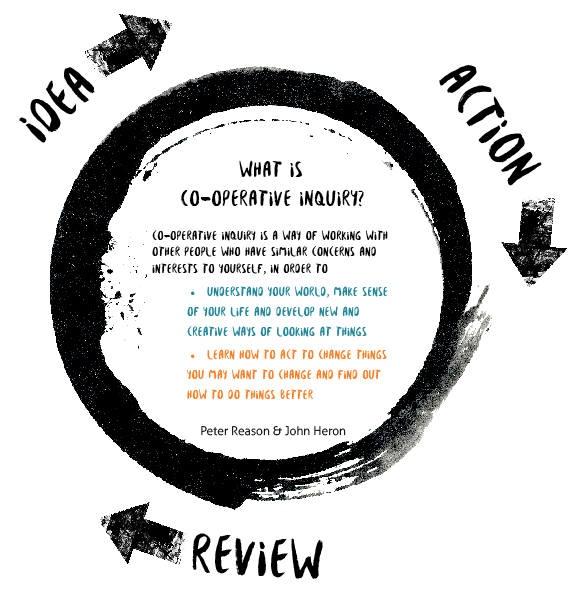 This 1-page handout shows the cyclical process used in co-operative inquiry and which underpins the BCA approach. 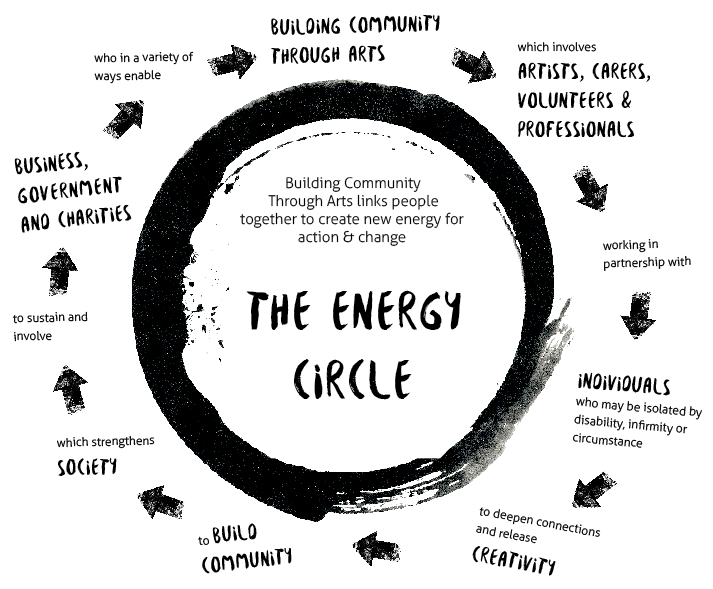 This handout shows participants how a BCA programme can drive a cycle of change and growth in a community. This handout shows participants how the process of taking turns works and what is asked of each role.